Speaking on CNN, General Joseph Votel, head of the United States Central Command, said that withdrawing US forces from the strategically important city is "not something we are looking into." Last week Turkish troops crossed into Syria in an push to drive US-backed Kurds out of Afrin. As part of the Turkish offensive, which is grotesquely code-named ‘Operation Olive Branch’, president Erdogan warned that the offensive could soon target “terrorists” in Manbij, some 100km east of Afrin. “Turkey knows where our forces are in Manbij, and what they are doing there, and why they are there –to prevent any kind of escalation between the groups who are in that area,” Dillon told Rudaw TV. “The Coalition will continue to support our Syrian Democratic Forces in the fight against ISIS. We have said this all along, and we have said this with the Kurdish elements of the SDF. We will provide them equipment as necessary to defeat ISIS." However, in an apparent miscommunication, US NatlSec Adviser H.R. McMaster said a day earlier that the United States would no longer provide weapons to YPG fighters or the Democratic Union Party (PYD) – sending mixed messages about Washington’s relationship with the Kurds. 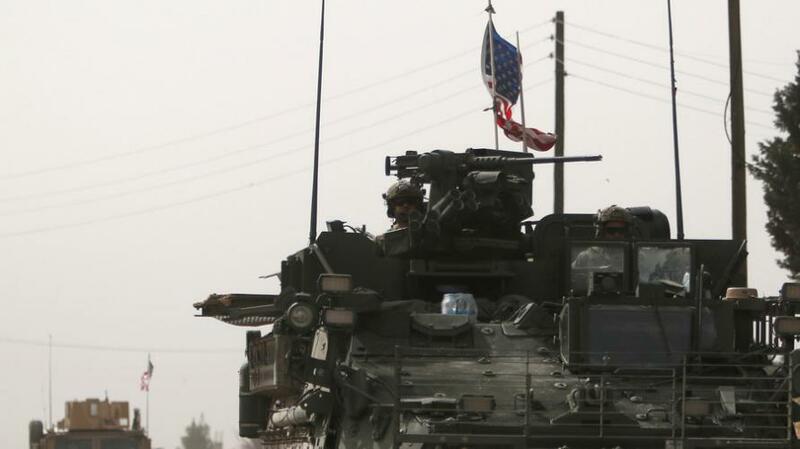 The latest Turkish offensive in Syria has further strained the already contentious relationship between Washington and Ankara. A White House spokesman remarked last week that the operation "risks conflict between Turkish and American forces" in Syria. In an unprecedented step, last week the Turkish presidency went so far as to correct the White House readout of the phone conversation between Trump and Erdogan, explicitly accusing Trump of lying. The Afrin campaign follows Erdogan’s vow to “strangle” the US-backed Border Security Force (BSF) in Syria. As discussed previously, the US-led coalition announced in January that it would help create the 30,000-strong BSF, half of which would be comprised of the Kurdish-dominated SDF. Meanwhile, confirming that Turkey has no intention of backing down, and if anything will keep pressing on assuring an armed confrontation with the US is inevitable, Jenan Moussa with Arabic Al Aan TV, reports that "a huge story is developing right now." Namely, that a big Turkish army convoy including APCs drove thru HTS controlled Idlib in Syria heading towards AlEis, a rebel controlled frontline with Syrian gov forces &allies. Turkish army convoy was escorted whole time by Al-Qaeda linked HTS group." And some additional starting details, according to Moussa, who notes that Russian planes were in the sky as the Turkish convoy drove through HTS controlled Idlib province. They even bombed 15 KMs away from the convoy. "So big question now: Is the Turkish convey moving with the approval or in defiance of the Russians?" Seems for now the Russians are not going to allow the Turkish army convoy to pass. I am hearing from one source on the ground that the convoy will go back in the direction of Turkey. I am in touch with sources on the ground in Idleb & will update as news develops. Due to nearby Russian bombing &Syrian shelling, witnesses on the ground now say that the Turkish military convoy has basically turned off its lights and is waiting in the area. We are trying to find out if they will turn back or continue advancing despite warnings. Will Erdogan be crazy enough to start a regional battle against both the US and Russia at the same time on Syrian soil, or will Russia flip and side with Turkey in its "defensive offensive" yet as it careens to a military confrontation with US troops? We expect to find out in the immediate future.